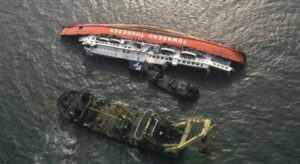 Before getting under way on March 13 for the accident voyage, the captain performed a pre-departure check of the vessel and its gear. 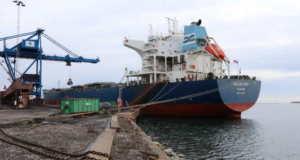 He also checked the items listed on a post-voyage work-list form, which was submitted to Trico’s shop foreman at the end of the previous 3-week voyage. 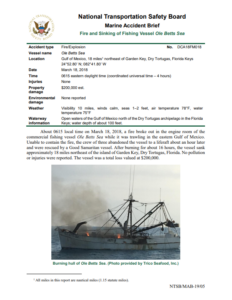 He found all in good order, and the Ole Betts Sea departed its Fort Myers Beach berth. While the rigmen tried to retrieve the fishing gear, the captain went to the engine room door, located on the port side of the main deck, and slid the door open. Thick grayish smoke prevented him from entering, so he closed the door. 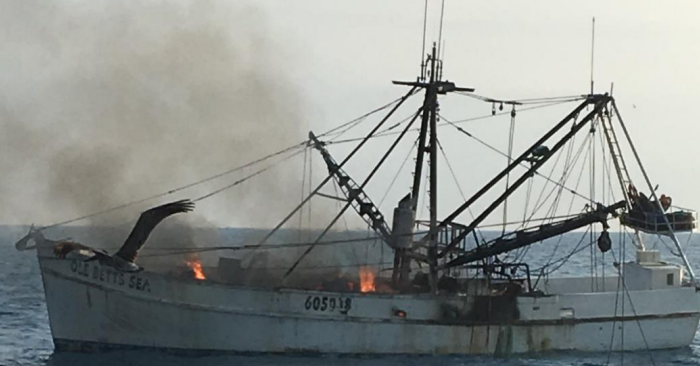 The captain went to the wheelhouse and called another nearby fishing vessel on VHF radio to inform the other ship's captain that Ole Betts Sea was on fire.